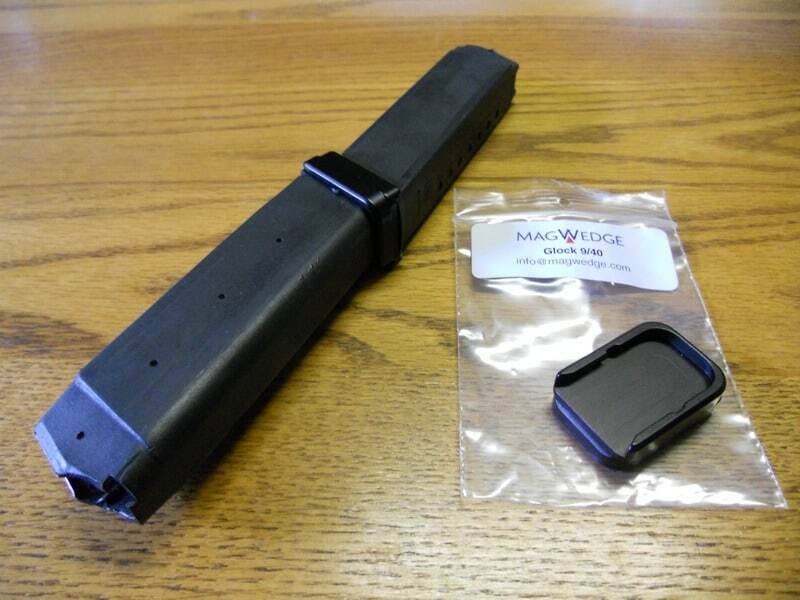 MagWedge Glock Magazine Couplers – For any 9mm, .357 sig or .40 caliber Glock magazines. Joins two Glock mags to create a shape identical to a stick mag with 10 rounds at either end. Made from 6061 Aluminum with attractive black anodize finish. Ideal for JR Carbines, Sub 2000 and others that use Glock magazines.